A month ago, a colleague of mine made me try the hand sanitizer she's using. At first I was apprehensive to try it because it has a fragrant scent - I normally prefer unscented product (in general). But what the heck, it's only a hand sanitizer, right?! I just hope they can change the packaging to where you will see if you still have enough product inside the bottle. 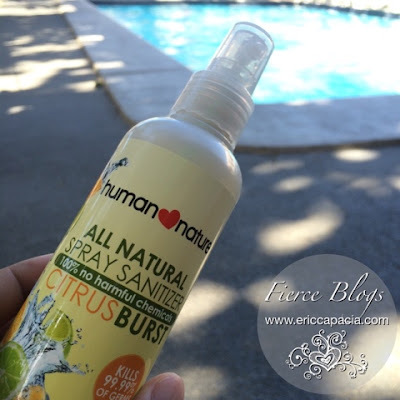 Otherwise, the Human Nature - All Natural Spray Sanitizer (Citrus Burst) is a "must have" inside your man purse or bag. Enjoy the coming week Fierce Ones!